Mr. Joseph Scott Thorne, age 47, of Pinetops, NC, went home to be with his Lord and Savior Jesus Christ on Tuesday, October 6, 2015. 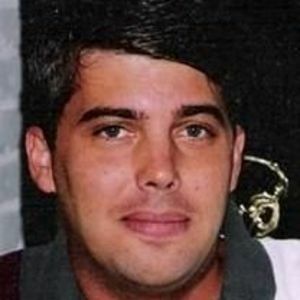 He was born on February 12, 1968 to Lala Jean Rackley Thorne and the late Johnny Robert Thorne. Joseph was a Radiologic Technician and founder of Joseph’s Coat of Many Colors Mission and Outreach Ministry. Left to cherish his memory is his loving wife, Bridget Burgess Thorne; his mother, Jean Arsement and his step-father John of Chesapeake , VA; brother, Mark Thorne and his wife, Kim of Atlanta, GA; sisters, Debra Joyce Thorne of Kitty Hawk, NC, Stephanie Thorne of Goldsboro, NC, Althea Ellen Burgess of Pinetops, NC; nieces, Madison Grace Thorne, Savannah E. Thorne, Ila J. Thorne and Taylor Finch; nephews, Matthew and Joshua Joyner; in-laws, GA Burgess, Jr. and Carrie Burgess of Pinetops and special friends, Carol Jones of Vanceboro, Amos Tyson of Greenville, Charles Stephens of Rocky Mount and Jarrett Banks of Farmville. A visitation will be held for family and friends on Friday, October 9, 2015 from 1:00 PM until 2:00 PM at West Edgecombe Baptist Church, 13821 NC Hwy. 43 N, Rocky Mount NC 27801. A memorial service will be held at 2:00 PM at West Edgecombe Baptist Church. In lieu of flowers, donations are asked to be made to the First Christian Church “Missions Trailer”, PO Box 205, Farmville, NC 27828.